Many websites market roulette systems that only work for one thing, making the system’s author money. Betting progressions, such as the Martingale, reverse Martingale or pattern betting, have no basis in statistical logic. 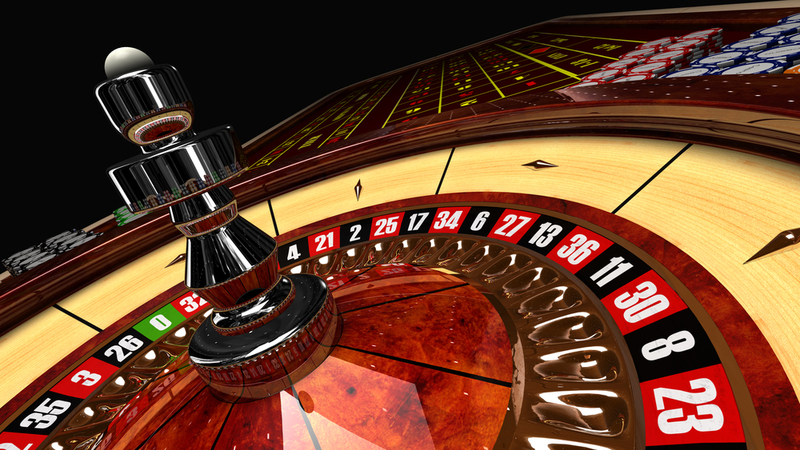 Simply put, Roulette is a game with fixed odds and a house edge on every bet. That means that, unless you have the ability to predict the future, you’re going to eventually lose over the long run. There is no roulette strategy that will win and no optimal roulette optimal strategy that performs better than any other. Unless, that is, you are using a roulette system that actually has a basis in statistical logic. It so happens that there are a few systems that are actually derived from sound mathematics and that can give the player the edge at roulette. Some of them are legal, some aren’t. So, if you’re interested in how you can actually make money from roulette, rather than just gambling on a negative expectation game, keep reading. We’ll run down the list of cool roulette systems, from the practical to the exotic to the downright shady. A biased wheel is a roulette wheel that has some sort of imperfection in its manufacturing or in the way it’s set up. Such wheels were commonplace right up to the mid-90s or so. But casinos, at least in the United States, became wise to this hustle around that time and ramped up quality control on their roulette games. Today, your best bet for finding biased wheels would be in off-the-beaten-path casinos in third-world locales. Biased wheel play is legal almost everywhere. But watch out, casinos don’t like losing. In the early-’60s, Edward Thorpe wrote a paper detailing how roulette could be beaten using a computer that would predict the relevant physical parameters of the game such as deceleration, drag and wheel speed. He determined that, using a computer to assist in predicting where the ball would land, a skilled operator of the hidden computer that he and Claude Shannon developed would be able to gain an edge approaching 50 percent. That means that for every dollar bet, the player would get the dollar back and 50 cents on top of it. Today, it would be trivial to program a smart phone to replicate the functions of Thorpe’s wearable computer of the 1960’s. The only problem is, in Las Vegas and most other jurisdictions in the U.S., computer-assisted play is considered a form of cheating. So, don’t try this in Las Vegas! However, many jurisdictions in Europe still permit computer-aided play. If you’re a seasoned gambler, you probably understand the tremendous value of comps well. Comps are short for complimentaries, benefits that the casino hands out to players that put in a certain volume of wagering. This is done as a way to keep players sticking around the hotels where they are staying and not wandering across the street to give their business to the competition, returning to their hotel only after going broke at another joint. While casinos today are generally wise to comp hustling, a sharp player can still often times reduce the house edge or even turn the odds slightly in his favor by making sure the pit boss sees him making the right bets at the right time. Black chip bettors, players who bet at least $100 per hand, can expect to have their hotel rooms taken care of by the floor. If the black chip player gambles for a few hours per night, they can start to expect spacious suites, unlimited free booze, including champagne and comped meals at the finest restaurants in Vegas. For completeness, it needs to be mentioned because it is, by far, the most frequent way that roulette has been beaten over the years. To be clear, you should absolutely not ever cheat at a casino. Aside from being completely unethical, in jurisdictions like Las Vegas, cheating can get you prison sentences that committing murder might get you in a town like Chicago. Disclaimers notwithstanding, techniques such as past-posting, where the player increases his winning bets after the round is complete, without the dealer noticing, can be very effective ways to beat roulette for the seasoned cheat. Roulette chips have no value, so at roulette this would involve placing bets where there were no prior bets or capping bets that have already been placed. Again, don’t ever do this. It’s a Martingale system where the final payoff is prison, no matter how much you made beforehand.